Want to build a magical empire of stunning jewelry looks? It's easy. Decorate your outfits with dazzling designs that make memorable impressions. 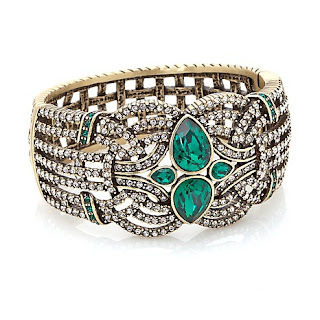 With its beguiling twist of crystal-kissed metal, Heidi's bangle bracelet does the trick.